The physical benefits of hiking, as an excellent form of aerobic and muscle-building exercise, are well known. Add in the varied terrain, fresh air, flora, fauna and the whole wild world, and hiking becomes extraordinary. Hiking as a family gets us doing something interesting, educational and together. Away, for the moment, from technology, television and video games, families find an opportunity to bond with each other and with their environment, and see what an ecosystem actually is, firsthand. Toner also helps at the American River Conservancy (ARC), which is a non-profit organization in the central Sierra Nevada foothills. The ARC works with government agencies, private donors and foundations to acquire, preserve and care for natural areas. Michael Dotson, director of development and communication for ARC, says that there are many reasons he goes out on the trails. “I can break away from civilization, get away from that daily routine, the grind of work and the frustrations that come with it,” he says. “You don’t think about anything else but the trail that you’re on, the scenic views you take in…For me, I’m not much to go into a gym and work out, so my exercise is hitting the trail, hiking, being outside. Going into a wilderness area requires preparation, so it’s a good idea to gather as much information as possible before heading out. Erickson and Ellsworth offer the suggestions below for hikers. Make a realistic plan and stick to it. Always tell someone of your travel plans. Contact the land manager for area restrictions, closures and permit requirements. Check the weather forecast for your destination, but note that weather can change unexpectedly. Plan clothing, equipment and supplies accordingly. Dress in layers and always carry a jacket. Carry a compass or a GPS unit and know how to use it. Carry water and emergency supplies, even on short hikes. Choose appropriate footwear for the terrain. Solid, lightweight hiking boots are best. Sandals can be used on trails in summer and around your campsite. Know your own physical, mental and technical abilities and your restrictions.Stay on the trails; don’t wander off. Don’t litter. All you should leave are your footsteps.Be environmentally aware. Dehydration can kill and may be the biggest danger on the trail; many people underestimate the amount of water that they need, especially while engaged in vigorous activity. Carry at least 1/2 to 1 quart of water for each hour you intend to hike, and don’t wait until your dehydration becomes a life-threatening emergency.Heat exhaustion is a heat-related illness that can occur after you’ve been exposed to high temperatures for several days and have developed dehydration. Try to find the nearest cool and shady place, drink plenty of water and remove any tight or unnecessary clothing.Just as dangerous as the poisonous creatures are the parasites you may encounter on the trail. Don’t ever drink or swim in stagnant water, which can be the home of worms, bacteria and even deadly amoebas. Sacramento, Placer and El Dorado County residents are fortunate to have access to many different types of natural and wilderness environments. Some are accessible only on foot or horseback; others, while natural and full of native wildlife, include conveniences that allow an opportunity to ease into a different element. A group of volunteers—known as Canyon Keepers—have come together to assist State Park rangers in ASRA to provide information on area trails. 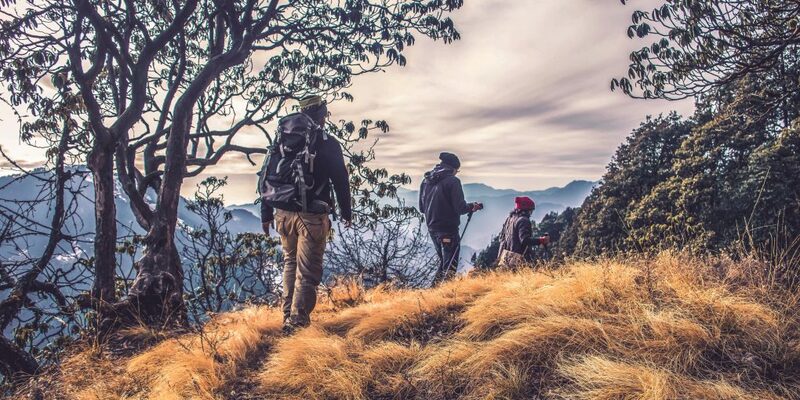 Their Web site, along with ARC’s, displays a plethora of this information, but if you’re ready to lace up your hiking boots and head out, here are some great areas to start your adventures. 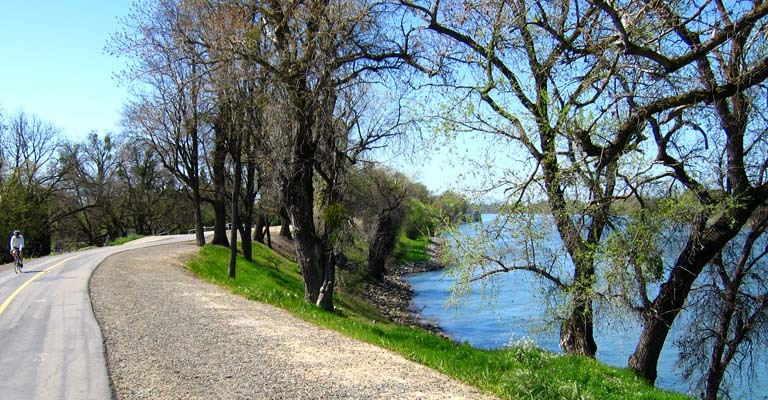 Easily accessed by car at many points along its 32-mile length, the trail accompanies the river from Old Sacramento to Beal’s Point in Folsom. This paved, year-round, two-lane path is used for walking, biking, rollerblading, horseback riding, and is wheelchair accessible. The trailhead is two miles south of ASRA park headquarters at 501 El Dorado Street in Auburn. Take Highway 49 south from Auburn, and turn right across the American River toward Cool. Turn left on a small dirt road, 1/4 mile south of the river crossing. The trailhead is beyond the parking area at a green gate. This trail is wide, level, and has picnic tables along the first 1 1/4 miles; total trail length is 11.2 miles roundtrip and goes through “some of the best scenery available in the American River Canyons.” There is little shade so plenty of water and sunscreen are advised. To reach the parking area, which is on N. Canyon Way in Colfax, take I-80 east from Auburn to the second Colfax exit and turn left on N. Canyon Way, which is a frontage road. The small parking area is 0.6 miles from the exit and a sign marks the beginning of the trail. Although easily accessed from Colfax, Stevens Trail is remote, steep and narrow in places, so it is preferable not to hike it alone. Good for both hiking and biking, it’s mostly shaded, but hot during summer months. This trail system connects public lands along the South Fork American River with state and federal public lands around Folsom Lake at the Folsom Lake State Recreation Area. Three trailheads are accessed from Highway 49: Greenwood Creek river access, four miles north of Coloma; Magnolia Ranch Trailhead, five miles north of Coloma; and Cronan Ranch Regional Trails Park, located on Pedro Hill Road, 6.5 miles north of Coloma. A fourth, Salmon Falls/Skunk Hollow Trailhead, is on Salmon Falls Road, six miles south of Pilot Hill. From Sacramento going east on Highway 50, about eight miles past Kyburz, turn left on Wright’s Lake Road; the lake, with parking area, will be at the end of the road. There are a number of trailheads near the campground at the lake. Permits are required for both day and overnight visits in Desolation Wilderness. Day visit permits are available at the various trailheads and at United States Forest Service offices in Pollock Pines and South Lake Tahoe.